Melton Mowbray Tennis Club’s Winter League teams all proved their credentials once more as the run-in for league titles and promotion chances hots up. With injuries and holidays causing considerable problems, the three men’s teams all fielded different personnel, but all of the teams gave 100 per cent commitment and effort to earn spectacular wins. 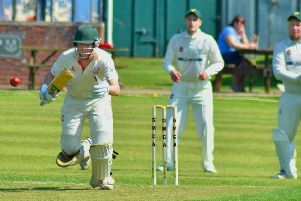 The men’s first team brought in teenager Ollie Aley for their home match with Gynsill, and the teenager responded brilliantly to partner skipper Ryan Parmar to three winning sets. The result kept them at the top of Division One with three matches to go. Scores: J. Rowe/T. Rowe W 6-2, 6-3; D 7-5, 5-7. R. Parmar/O. Aley W 6-1, 6-1; D 6-0, 4-6. * Melton’s men’s second team fielded a changed team to face Westfield Firsts, but as so often in the two-year history of the club, the players responded brilliantly with a 7-1 win. The results kept them in the promotion hunt, just behind Loughborough Firsts who look likely to take the title. Skipper for the day Simon Hawthorne teamed up with Duncan Beiley and led from the front with a magnificent four wins. Second pairing of teenager Gabriel Johnson and third team regular Mike Roye weighed in with three sets. Scores: S. Hawthorne/D. Beiley W 7-5, 6-4; W 6-2, 6-1; G. Johnson/M. Roye D 7-6, 2-6; W 6-3, 6-3. * The men’s third team had to call on the services of teenager Alex Horobin who lined up alongside his dad and club coach Brent who had not seen league action for 10 years. Tom Bendle also came in to partner ever-present and captain Jake Beagle, and they responded brilliantly, gelling from the first ball to set up the win with a superb maximum four wins against third-placed Leicestershire D.
Alex and Brent chipped in with two to secure the win that all but secures the Division Nine title and seal a remarkable weekend for the men’s teams. Scores: J. Beagle/T. Bendle W 6-0, 6-1; W 6-0, 6-3. A. Horobin/B. Horobin L 1-6, 3-6; W 6-2, 6-4. * Not to be outdone, Melton’s ladies first team also performed superbly at Leicestershire A to notch a convincing 8-0 win. It moved them into top spot above title candidates Loughborough and Charnwood who still have to play each other in the run in. First pairing of skipper Jess Gadsby and Sarah Diver lost just seven games in their four wins, while second pairing Corrine Blythe and E. Jenkins bettered that by losing just four games. Scores: J. Gadsby/S. Diver W 6-1, 6-3; 6-2 6-1. C. Blythe/E. Jenkins W 6-1, 6-0; W 6-1, 6-2.